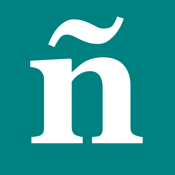 It's two weeks before your trip to Mexico and you want to learn Spanish. What do you do? Well, you head to the App Store and download one or two iPhone Spanish apps to help, of course! 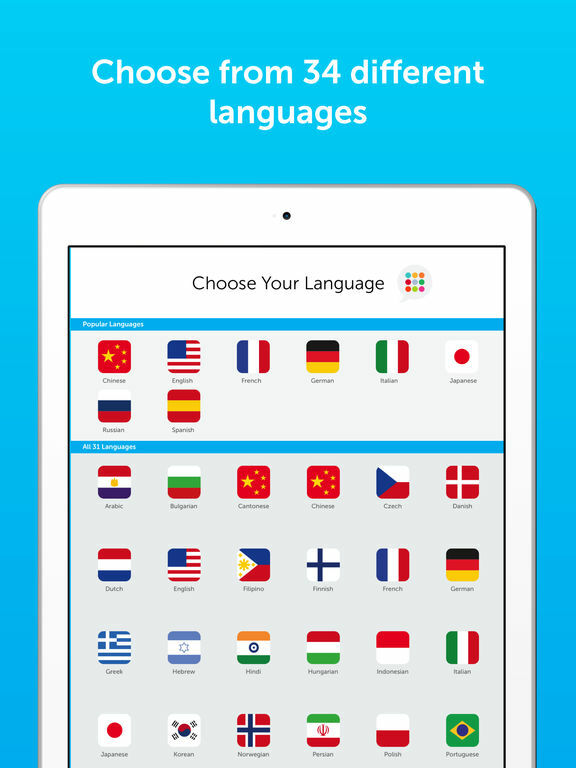 Besides Duolingo there are literally thousands of language learning apps available. 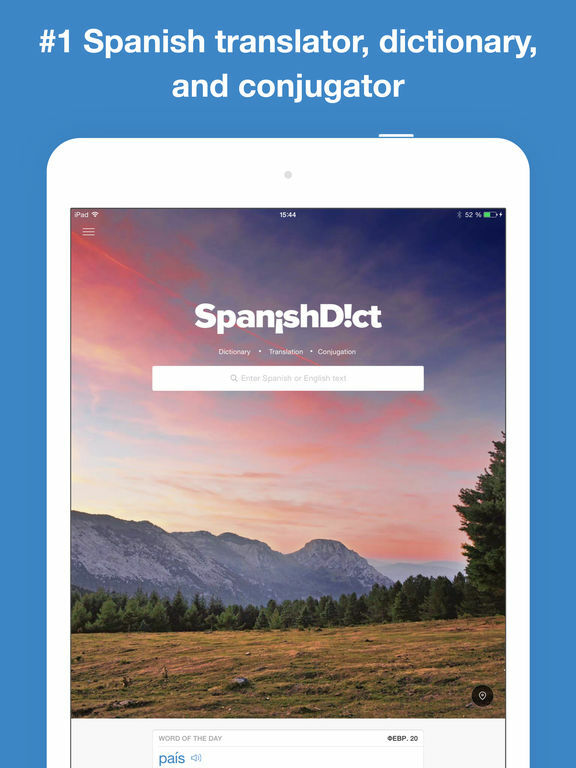 You'll be speaking Spanish with the best of them in no time with our list of the best iPhone apps for learning Spanish. Learn&Play Languages Beginner : Spanish French Japanese Korean Thai Arabic might have a hefty name but it has high ratings and you'll find it useful when you want to learn a new language like Spanish. 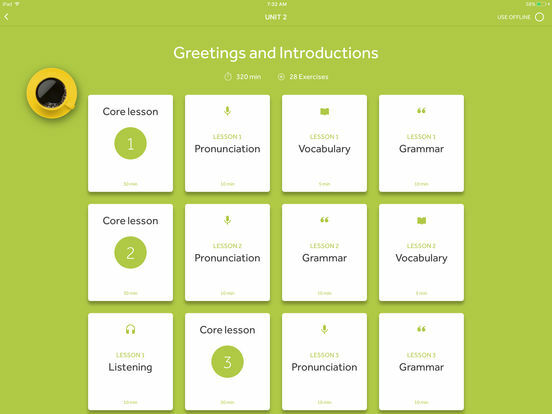 It uses three different techniques to teach: word-group learning, three-level game playing challenges, and audio-visual excitement. The creators went all-out to try to make this a fun learning experience for users in addition to being effective. 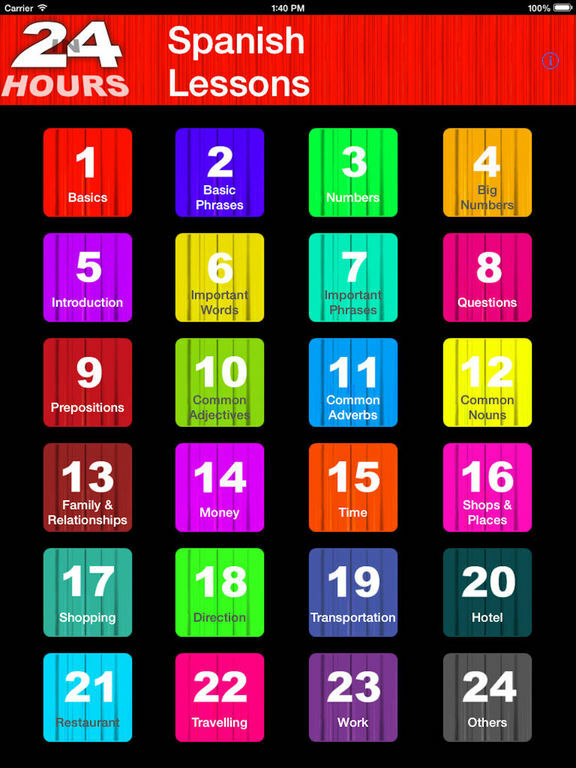 The app comes free with “Must Know” words and phrases in 14 languages and more lessons are available via in-app purchases. 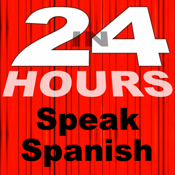 If you need to learn Spanish in a hurry, here's your chance. 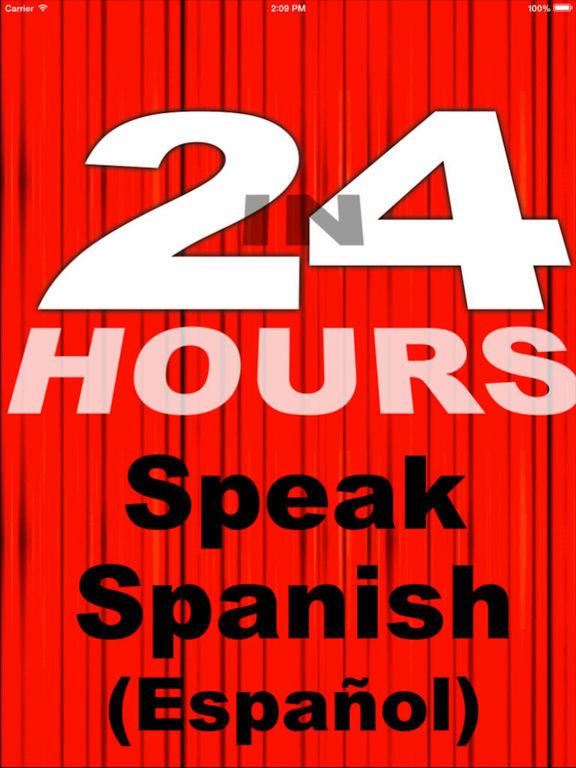 The In 24 Hours Learn to Speak Spanish app will give tourists, explorers, teachers, students, and business travelers an audiovisual learning experience that will help you to understand the Spanish language. The app is designed for you to learn on the go: while on the bus, waiting in line, walking in the park or relaxing before bed. 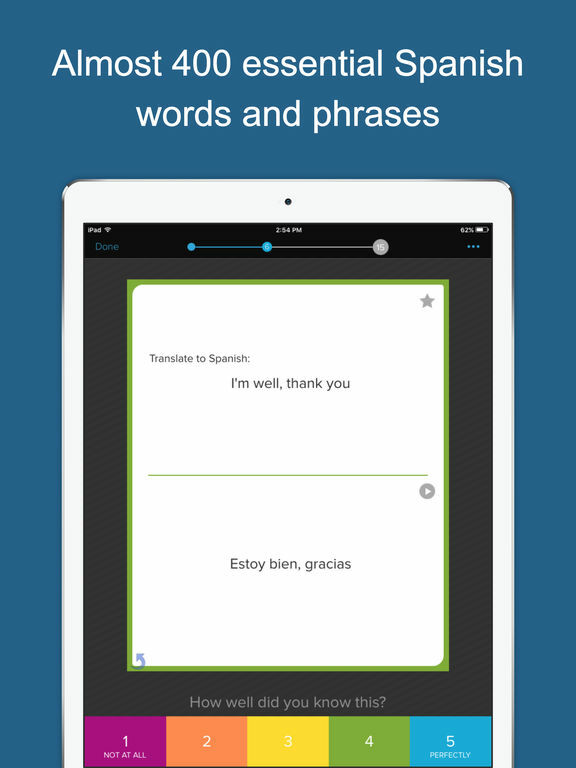 Just plug in your earphones and start learning Spanish. 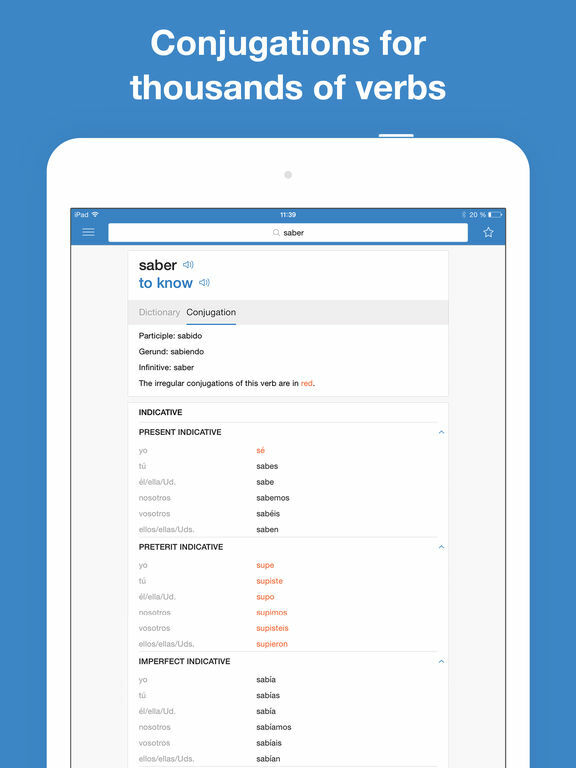 The app has thousands of words in phrases to make sure you learn the fastest, easiest way possible. 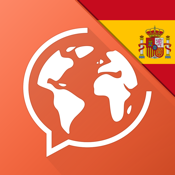 If you are interested in picking up the basics of Spanish quickly and efficiently, this app is the right one for you, which will get you speaking a few words and phrases within minutes. 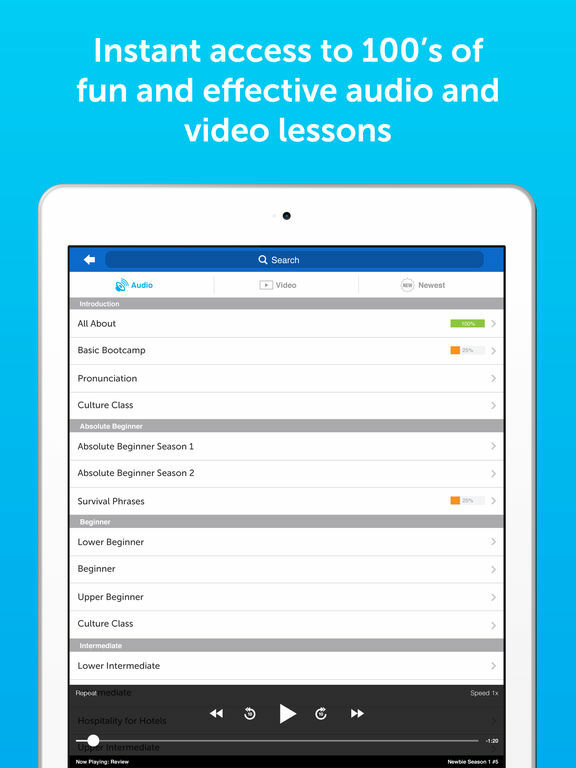 This app makes learning fun and interesting, providing lessons in vocabulary, grammar, and pronunciation. There are options for beginner learners, and advanced learners, but also specifically for travelers and business professionals who need a working knowledge that is acutely relevant to them. 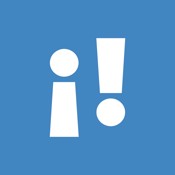 This app employs professional voice actors to deliver audio pronunciations. There is an advanced speech recognition function which will also help you develop the right pronunciation. 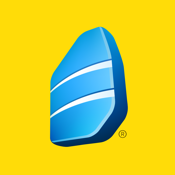 SpanishDict is a Spanish dictionary, translator, and conjugator currently used by over 10 million people every month. 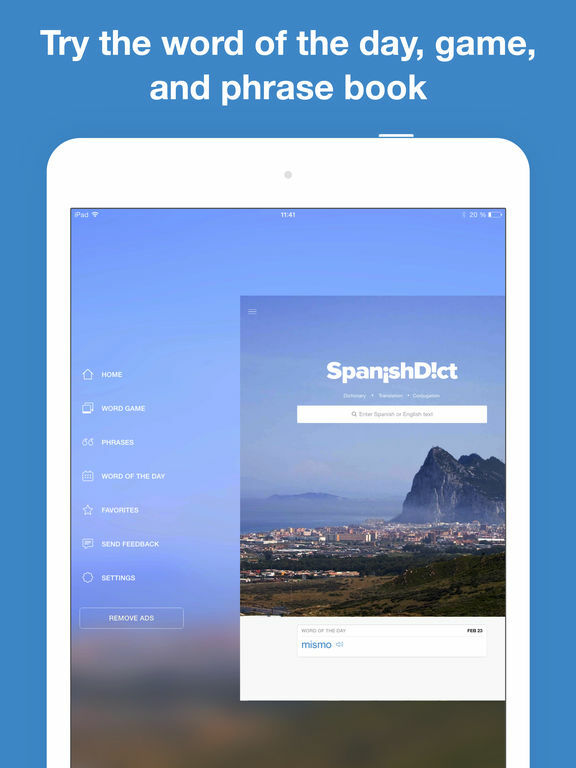 It offers a full Spanish-English dictionary with regional usage, examples, and contextual information; full conjugation tables for all tenses for thousands of words; three separate in-app translators; a word game to help you learn new words; a talking Spanish phrasebook with over 700 common Spanish words and phrases; Word of the Day with push notifications; and a Favorites option which allows you to keep track of words you are learning. 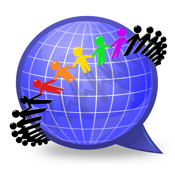 An Internet connection is required for the in-app translators. 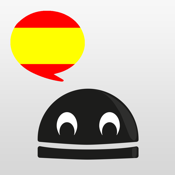 LearnBots Spanish - Verbs + Pronunciation by a Native Speaker! 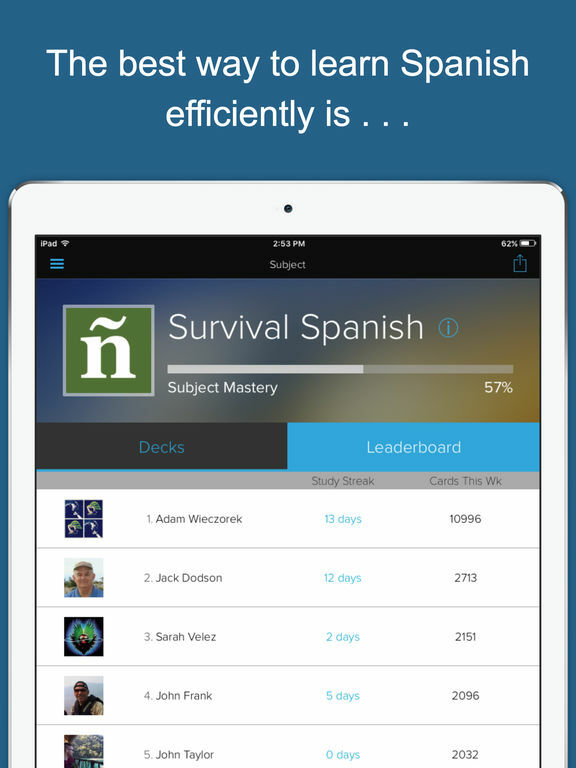 If you are just learning Spanish, or need to brush up on your skills, then check out this app. 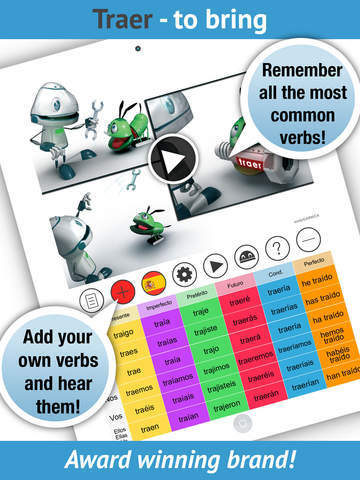 LearnBots is great for helping users with those tricky little things called verbs. Practice and remember verbs, learn from proper pronunciation of a native speaker, add and hear your own verbs, create a list of favorite verbs, write out verbs and check if you are correct, translate into over 30 languages, take a skills test, view the most commonly used verbs and much more. There’s an in-app purchase with this app. 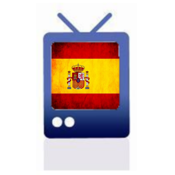 Here’s a Spanish teaching app that helps people to learn Spanish by watching videos. This definitely has the visual learners in mind. But, don’t worry because there’s other options for learning too. The app features 200 videos that last about 3 minutes each. You can pause, stop, rewind and fast forward through videos. They are sourced and streamed by credible outlets. There are practice exercises and notes for each video. This is also a great tool for beginners as it has a course of 10 chapters targeting those just learning Spanish. 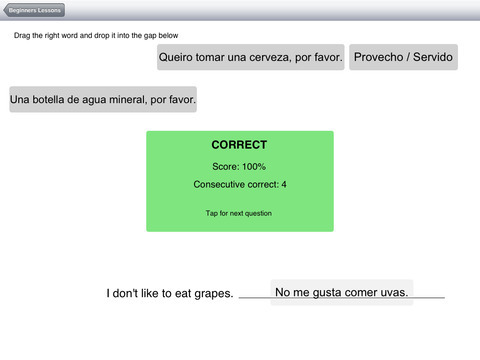 Innovative Language 101 uses the Innovative approach to language learning to help you learn Spanish. 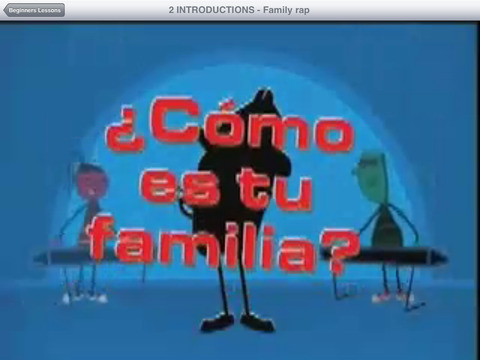 You will be speaking Spanish starting with the very first lesson. The lessons are easy, fun, and fast, and you can take them anywhere so whenever you have some free time, launch the app and continue learning. You will get a free seven-day trial; if you like what you see, you can upgrade in-app. There's also an option for Basic and Premium web access if you want to learn at your computer, too. Existing Basic or Premium members can download the app and log in with their website username and password to access their account. 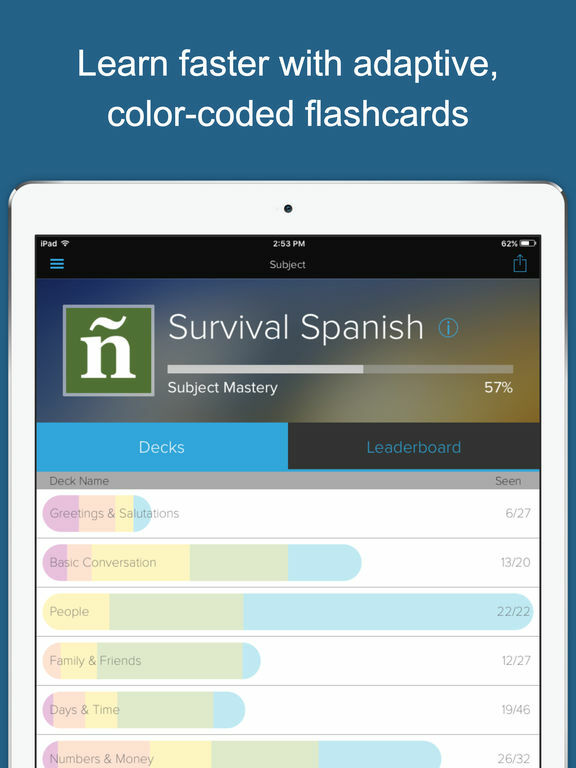 Speak Spanish - for Survival and Travel by Brainscape drills you on the 200 most essential Spanish words and phrases. It uses the latest in Cognitive Science techniques like its scientifically optimized algorithm that repeats flashcards in the right pattern for your brain's maximum absorption, based on your confidence. Your study time is used most efficiently so you will learn quickly, without wasting time. 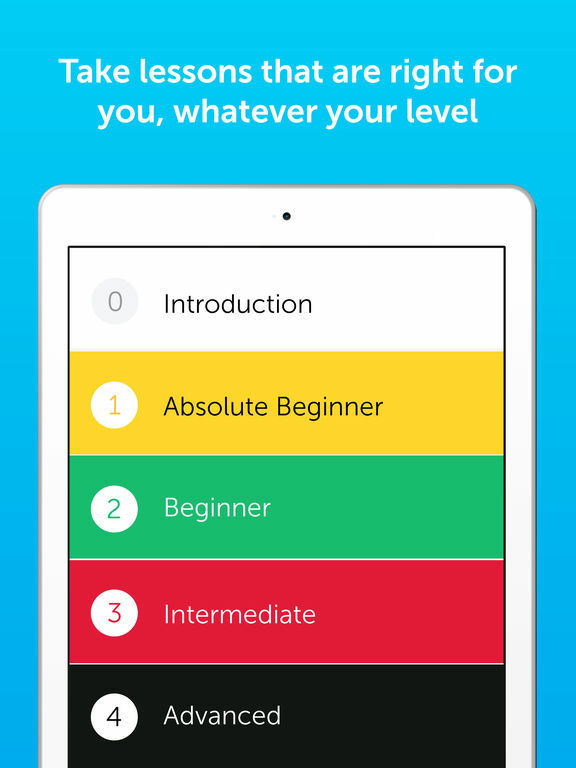 You get useful key phrases, browse and search functions, 200 audio flashcards ordered from most foundational to most complex, and ongoing feedback, visualization tools, and stats to help track your progress. 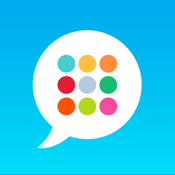 If you like this app, the full version is available as a separate app and offers thousands of the most useful phrases and words in Spanish. 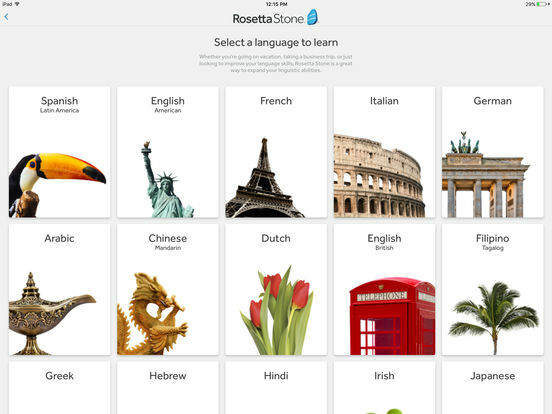 Everyone has heard of Rosetta Stone, right? 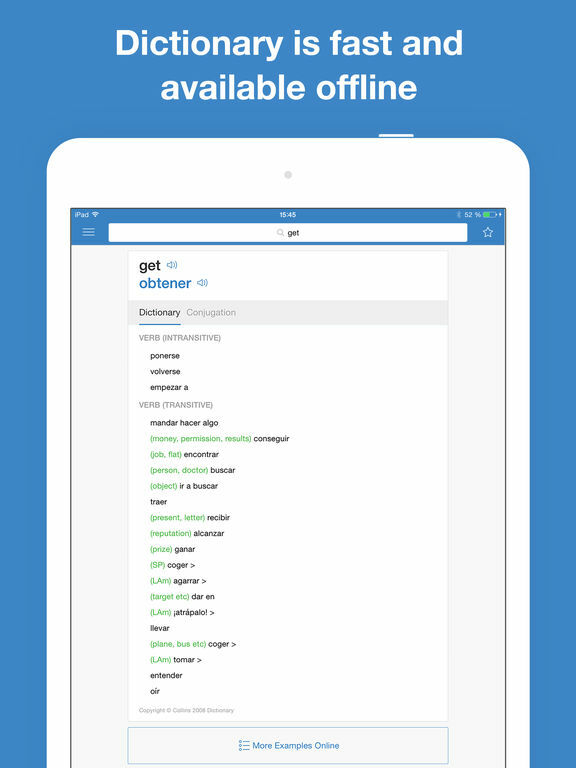 This is the base app you need to start learning a new language. 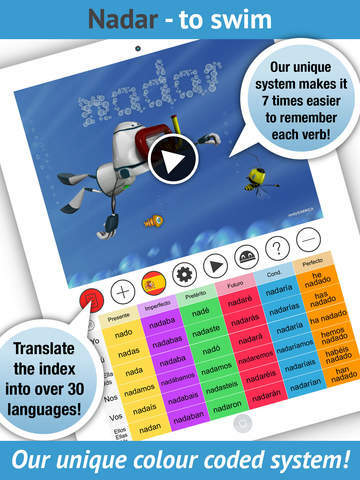 The app helps you develop fundamental language skills naturally. 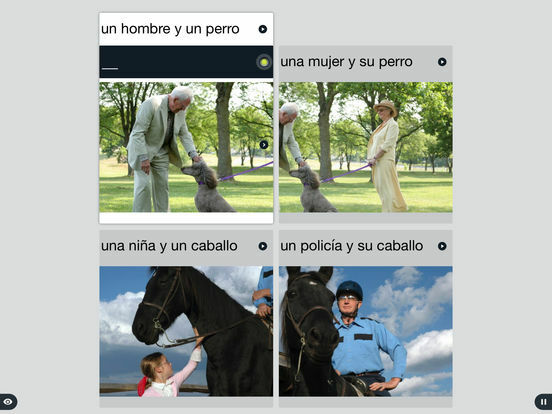 The app uses an immersive lesson plan that will have you speaking Spanish right from the start, with no need for memorization or translation. 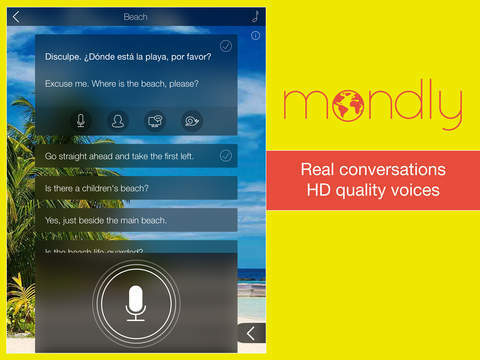 You'll also get feedback on your pronunciation from the app's speech recognition technology. You will be able to practice anywhere and anytime, learn practical conversational skills, be able to download lessons to use offline, build confidence speaking, and learn speaking, reading, and listening. 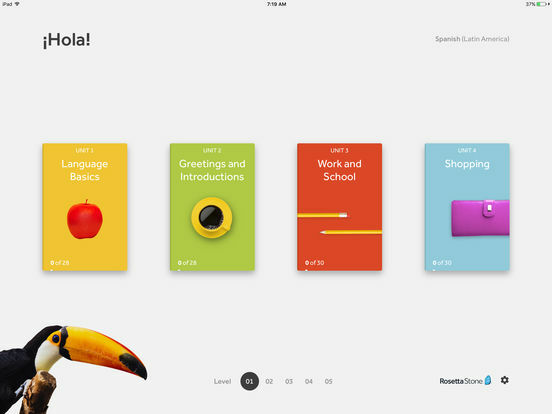 You can start a lesson on your iPhone and finish on your desktop or iPhone because the app automatically syncs your progress across all devices. 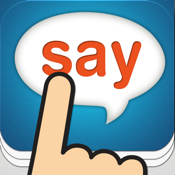 Tap & Say is a phrasebook that covers 17 languages, each with over 600 essential phrases that have been categorized and translated with accompanying spoken audio. Essential phrases are included for free. Some other features include the option to search for phrases by keyword or copy text to clipboard; the ability to star your favorite phrases; spoken audio recordings by native speakers; and multiple categories like Greetings, Essentials, Lodging, Eat & Drink, and more. You don't need an Internet connection to use the app so it's great to take with you when you travel, and the app works on your iPad, iPhone, and iPod Touch.